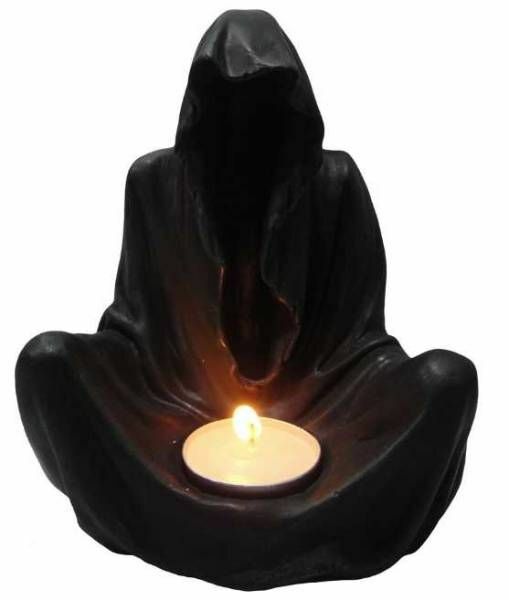 Final Flame is a Reaper sitting down holding a tea light. 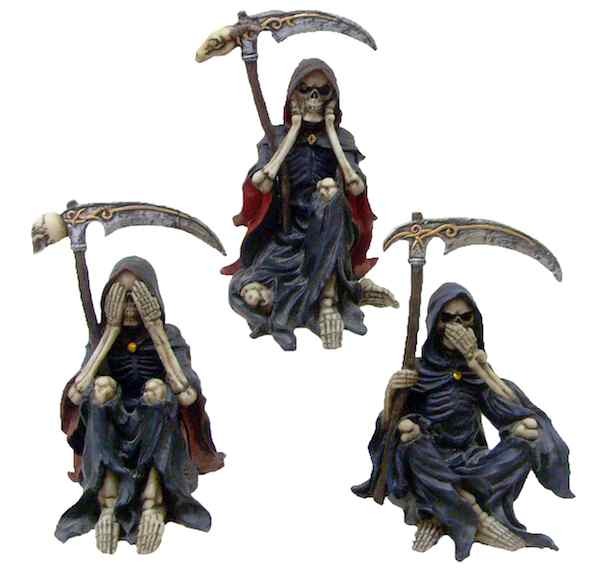 Something Wicked is a set of Three Wise Reapers: Hear no Evil, See No Evil, Speak No Evil. 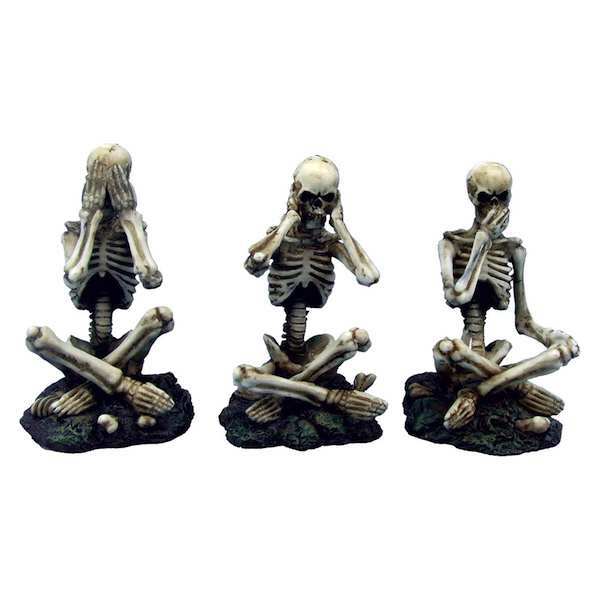 See No, Hear No, Speak No Evil Skeletons. 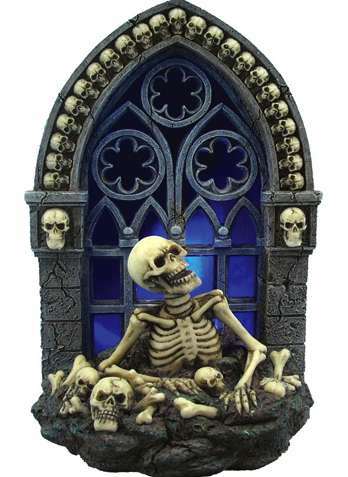 The skeleton is rising out of the ground in front of a gothic window that is lit by a blue LED. 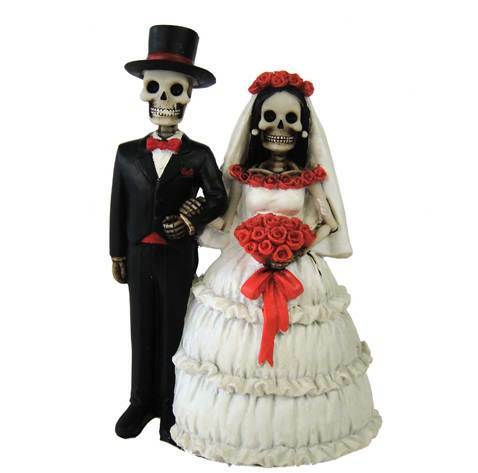 This husband and wife have just got married. 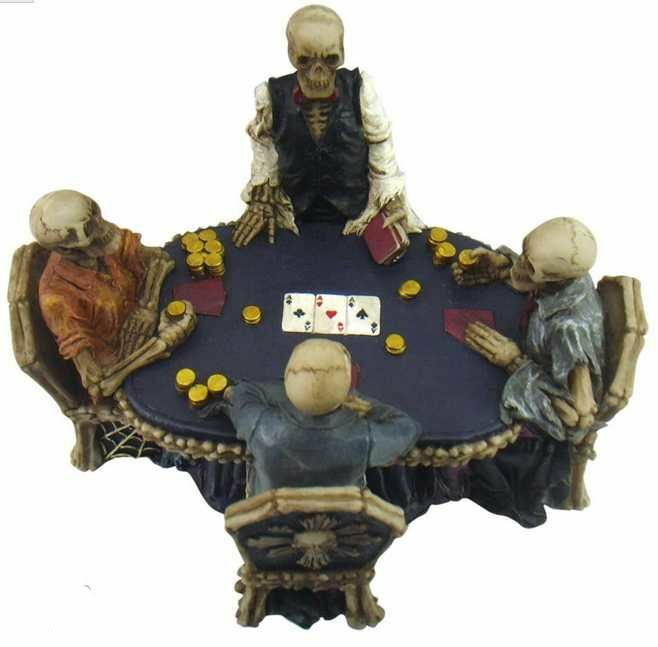 End Game sees four skeletons playing poker, who's going to win?. 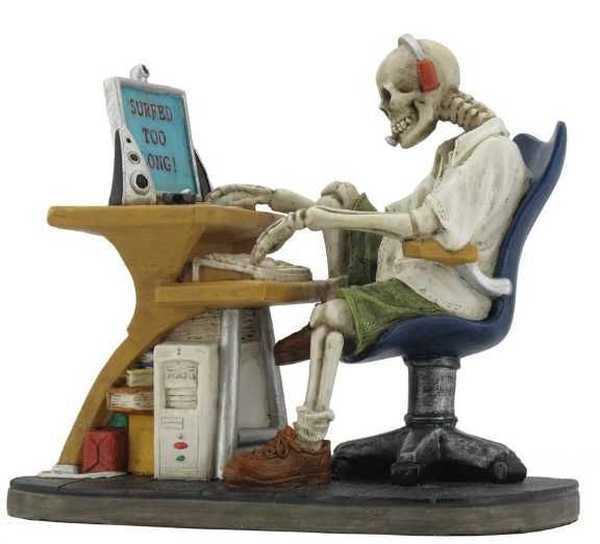 Who's been sitting at the computer with out stopping to eat or drink? 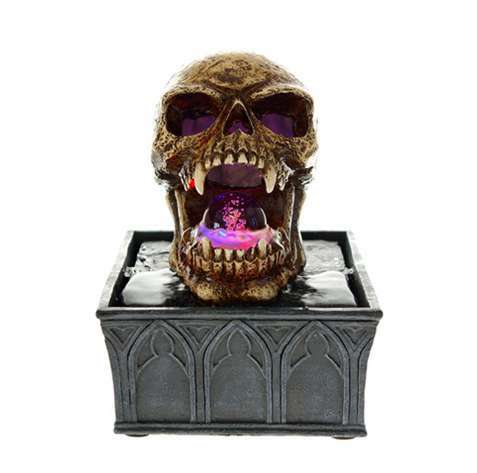 Jaws is a battery operated water feature. 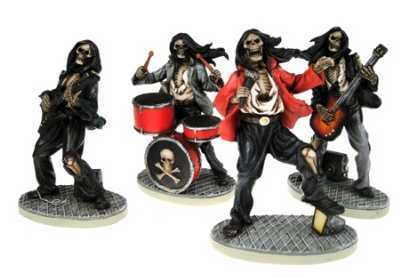 The water flows up through the jaw of the skeleton head and turns a clear acrylic ball which is lit by an LED light. 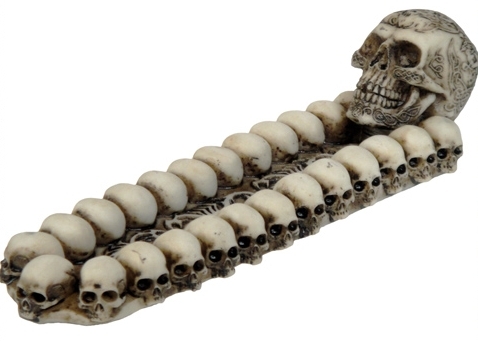 These incense holders are used to catch the ash when an incense stick is burnt. 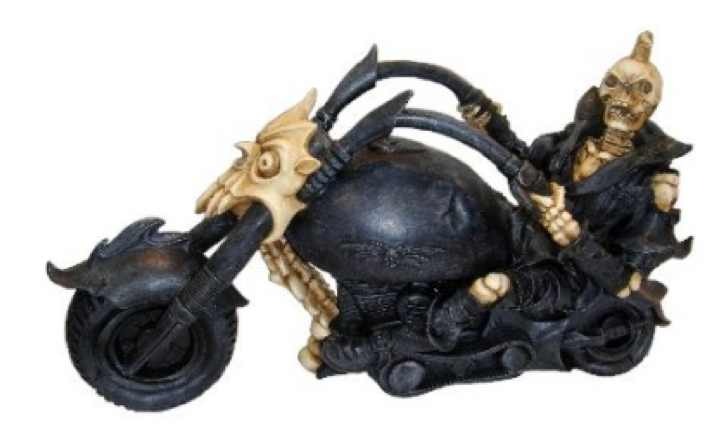 Pyre is an incense holder. 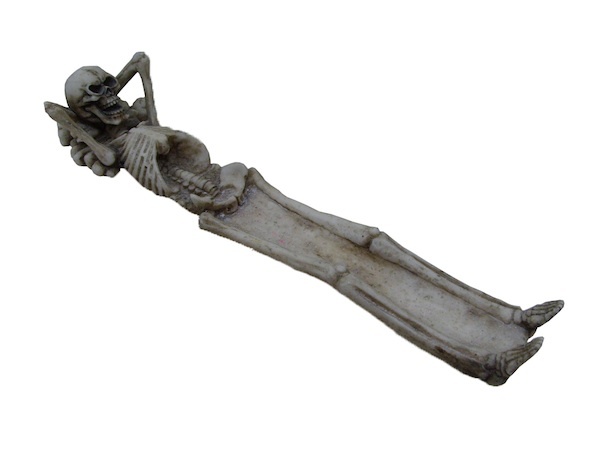 Take It Easy is an incense holder. 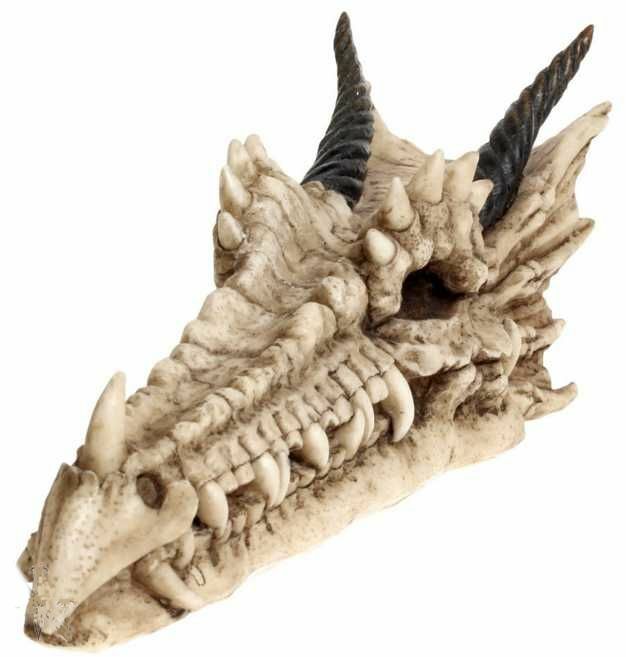 The Draco Incense Holder is in the shape of a dragons skull. 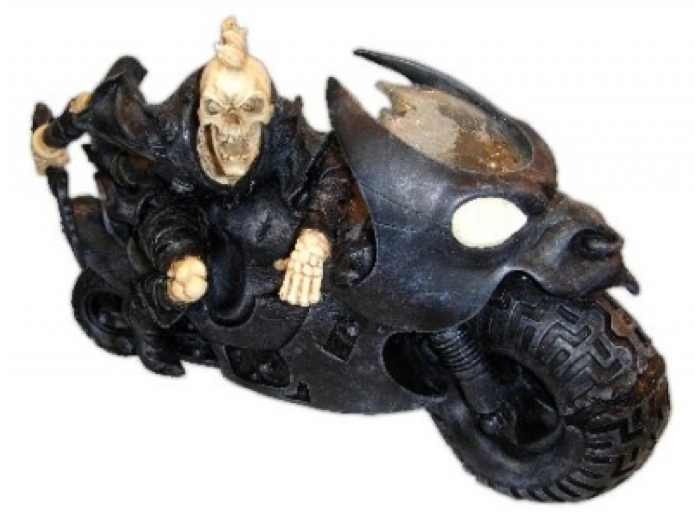 The Reaper in this incense holder sits at the back of boat full of skulls. The Incense Guardian has a dragon protecting the incense stick.